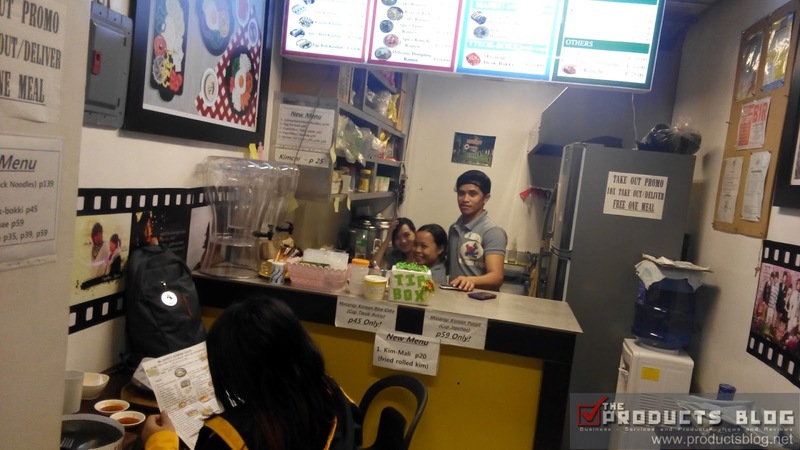 Whenever we finished late from an event in Muntinlupa area we end up wondering where to eat near Starmall Alabang. Lest, Sunday after Cosplay Rumble at Starmall Las Pinas we are once again lost. 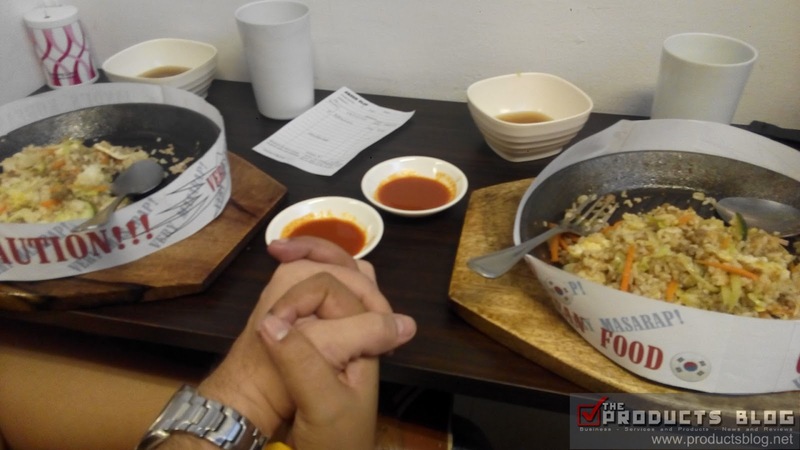 We do not want to eat in another convenience store and then we stumbled upon JANDI's KOREAN FOOD AND RESTAURANT. Here is what we think about this rare find in the south. The food selections were indeed very Korean. We can enumerate all the menu but it is better actually going there. 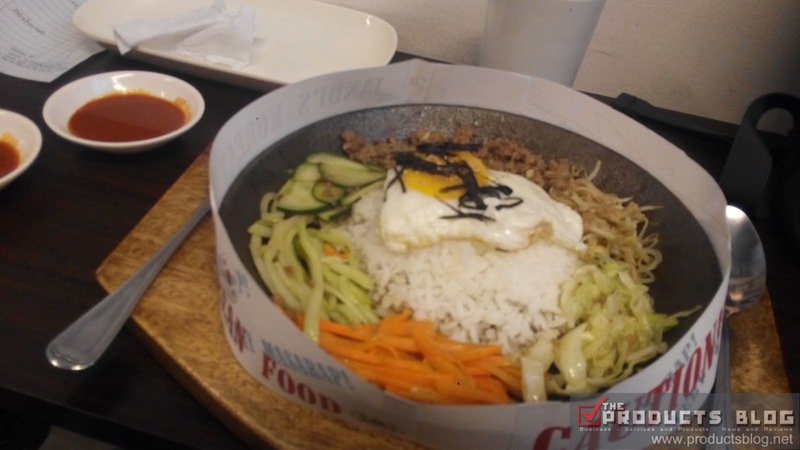 You can enjoy Bibimbap, Kimbob, Japchae, Korean ice cream and more. It was just so sad that they do not have Samanco, since that is our favorite. Anyway, we did order Bibimbap. 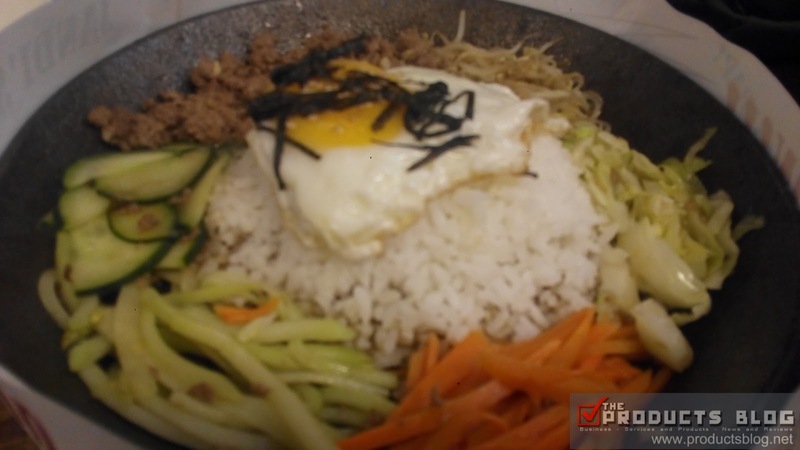 It is a Korean dish which is served in a bowl of warm white rice topped with namul (sautéed and seasoned vegetables) and gochujang (chili pepper paste), soy sauce, or doenjang (a fermented soybean paste). A raw fried egg and sliced meet which in our case beef is added. You will eat the food by mixing all the ingredients. I will say that the taste is quite good and the amount of serving will really make one person full. There is only one request I would like to make, I hope that they do add Kimchi to the mix. We paid for our Bibimbap at Php129. I think is is quite affordable considering the serving size. We are also given soup, which we do not see as an add-on. Their pricing is very affordable and considerate as well. As for the place it is a bit tight. I think it will only fit around less than 15 persons. Perhaps, that is why they told us that they might open in Starmall Alabang soon. 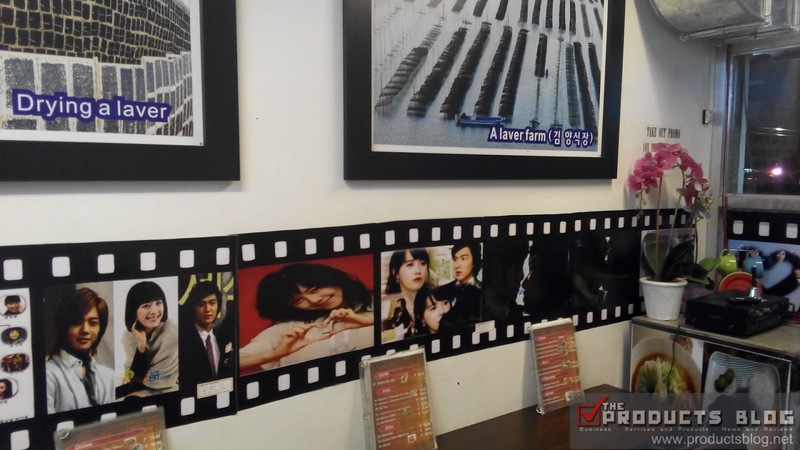 The place is adorned with Koreanovela actors and actresses which I hope would soon include KPop groups as well. Will be suggesting this place in Zomato since their food is really good. I will given them a rating of 4/5. 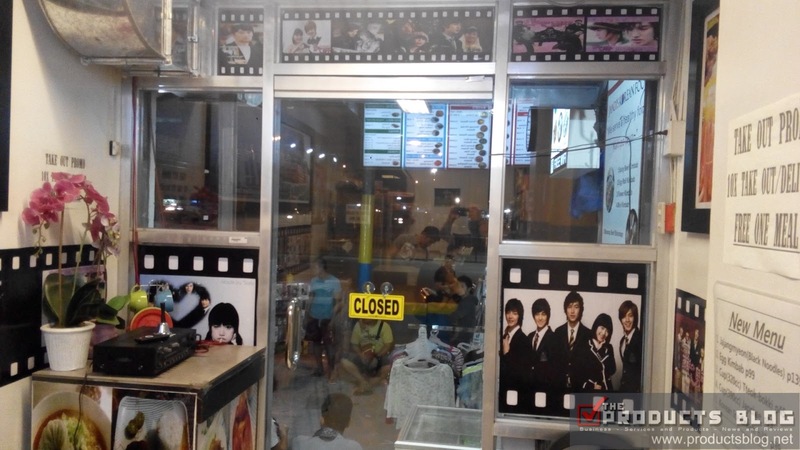 I just hope that they will add Samanco, put Kimchi on their Bibimbap and also expand the place. Thanks for the warm reception from their staff. Thanks for reading and do follow THE PRODUCTS BLOG ON FACEBOOK. More food blogs at this link.